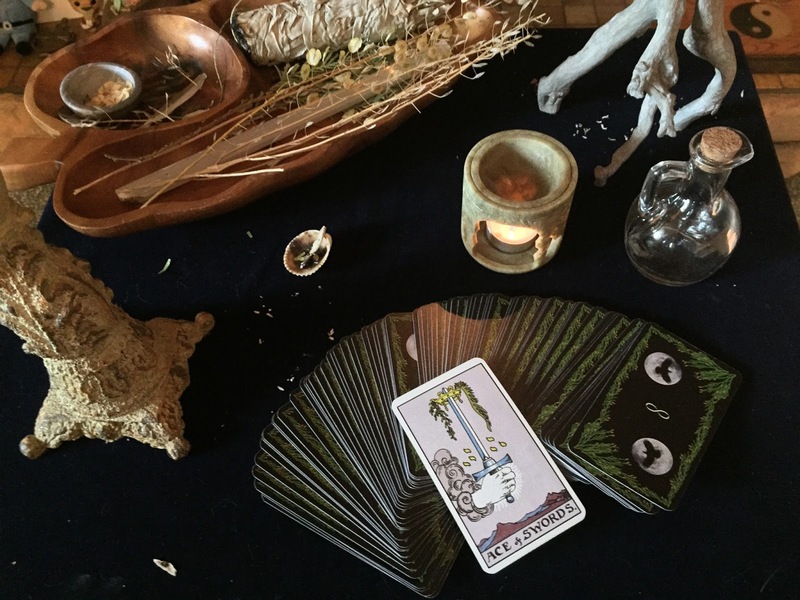 Something important for us to ponder is the potential power and influence a Tarot reader has over the querent, both psychologically and spiritually. This isn't unique to Tarot reading -- it applies any time one individual goes to another individual for help or guidance. The very dynamics involved puts the reader in a place of power and the client in a place of vulnerability. Do a web search of "psychology of clients abused by professionals" and discover for yourself what a powerful and dangerous dynamic this can be. So right off the bat, readers are doubly responsible for behaving appropriately -- even to the extent of creating healthy boundaries for not only their own benefit, but also the benefit of the client. Anyone in power ought to take into account those that are in any form of vulnerability and protect them -- not take advantage of them. I've attempted to write on this topic and keep getting writer's block because there is SO much here and I'm not sure which direction to take it. So keep in mind that what I'm writing can be applied to so many situations and I'm going to focus on one: The influence of a Tarot reader psychologically and spiritually on the client. This is something both reader and client should take to heart. When a person comes to get a reading, they may be seeking various things, some healthy some not: advice, comfort, hope, direction, someone to tell them what to do, confirmation of a decision, someone to talk to, entertainment -- the list goes on. Often times they are open and vulnerable and have a belief that something in the reading is going to provide what they are looking for. Readers provide their services because they believe they have something to offer. Readers with integrity (which honestly is most of the readers I have encountered) want to help people. Others may have charisma and be out to feed their ego and their pocket book. Regardless, we all deal with ego in some form or another -- concern for our reputation, being viewed as "accurate", wanting to be seen as that mysterious oracle, etc. So by default, we have the ego and will of the reader putting forth energy towards the open, vulnerable, and receptive querent. If you're familiar with the Hermetic principle of gender (which describes creative power in the universe, of which physical gender and sexuality is just one example): from a metaphysical perspective, male energy is the will that is put forth in creative acts towards the receptive, nurturing, cultivating female energy which brings that will to fruition. While this entire process can be described in psychological terms, I'm going to stick with metaphysical stuff for now, since I believe there may be more than psychology at work (or at least psychology as we currently describe it). The Hermetic principle of gender is also foundational to spell casting -- that is, to sending your will out into the Universe and seeing it manifest itself. When a vulnerable, open client comes to a reader, the reader performs the reading, where ego and will are not absent. To the degree that ego is not restrained in the reader, they may inwardly or outwardly project their will in various forms toward the client to receive and believe what is presented as true. There may also be the desire (especially if the reader does predictive readings -- which I avoid for many reasons) on the reader's part to see these things actually come to pass. The trusting reader is a fertile vessel to receive that will and energy, even if it doesn't make them feel good. Even at only a psychological level, the power of suggestion is at work. At a metaphysical level, the reader has just cast a spell. The simple act of the reading itself will change the course of events. If you have never pictured a Tarot reading in this sense -- with the powerful effect it can have (consciously or subconsciously) -- please take the time to consider it, whether you get readings or give readings. What do we do then? How should we approach a reading, as a reader, as a querent? The reader should be fully aware of their power and ought to exercise meekness -- power under control for the benefit of another. A reader must be in touch with their own ego and be skilled in keeping it at bay. Some ego will be present and have an effect, but we should minimize that. We must be aware of the energy we are putting forward in the midst of a reading and be sure to be informing, caring, comforting, warning, but not imposing. The querent should go into the reading aware -- open to insight, but testing thoughts and ideas. As a a querent we should never abdicate our own sovereignty and will to another. The reader is giving us one source of insight among many. The reading is simply another counselor, not THE counselor. In a metaphysical sense, when you receive incoming energy from the reading, check it at the gate around your mind and spirit, validate it, and then instead of directly receiving the will (male) of the reading into your being (female), transform it through thoughtfulness and intention. Accept what you decide is good and then by choice of your own will (male) receive it into yourself (female). If you don't accept it, turn it away at the gate. This takes awareness and purposeful action. When I do a reading, I am very intentional about protecting the querent's sovereignty and increasing their own awareness of their own personal power. I don't make any claims about myself and I let the reading speaking for itself. I am intentional about not holding onto the results of the reading, whether it was "good" reading or a "bad" reading on my part. This has worked very well for me and querents seem to leave encouraged, feeling free and empowered. If I'm "blocked" for some reason and can't do the reading, which has happened a few of times, I'll apologize and not do the reading instead of trying to force it. The point being, I seek to be aware of my own ego and be intentional that the energy I'm sending out is beneficial to the querent and not to feed and protect my ego. Let's go into a reading with a full awareness of the dynamics, with a desire to benefit the querent and not to cast a spell that is rooted in our own ego and will. Whether you call it saying a prayer, casting a spell, setting an intention, or something else, gathering your will and sending it out into the universe is done in various ways, often accompanied by ritual. Many paths acknowledge that the outward ritual is more of a "tool" to accomplish the inner work being done. This doesn't minimize the value of anything ritualistic or external, but it does remind us that the end goal is not an amazing ritual but the inner work being accomplished. My perspective is that ritual is a very personal matter and that we must have peace and confidence in our personal spirituality in order to be effective in corporate spirituality. 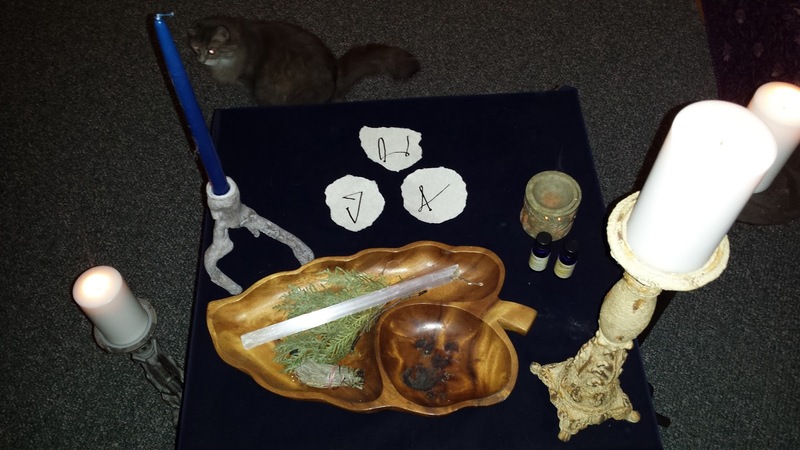 These are some thoughts I shared recently regarding personal ritual. It's my personal belief that whatever method you have the most confidence in should be your preferred method. It's good to get ideas and learn from others but always be sure to let those ideas be a guide and not a mold. Pick ideas that resonate with you and your nature. I like to learn from everyone, try things out and then apply the bits and pieces of what rings true to me. I'm very nature oriented so many traditional elements of ritual involving the elements work for me. 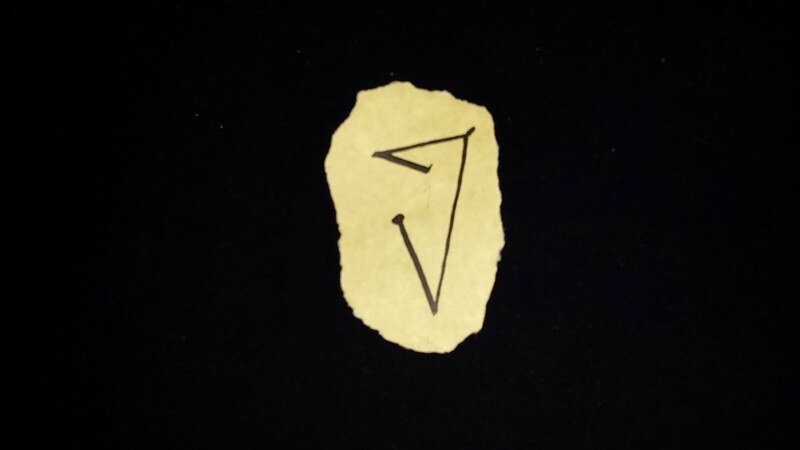 I'm also very analytical and math oriented so I developed a sigil system that reflects some nerdy mathematics - and it works for me because it's all just an extension of who I am. And I really believe that is key - pick methods that reflect who you are and not just because you feel they make you look all witchy or magickal (though you enjoying the look of it and it putting you in a happy place are important factors). I personally like to get in a meditative state (more thoughts on that below), cast my "circle" with sage to protect and to set aside the time as sacred, light my candles, heat some essential oil that's meaningful to me in a diffuser, welcome my higher self, my ancestors, the Divine, and any helpful spirit guides that want to join, then in the midst of ritual I have a focused time of intention. Sometimes it's purely inner thoughts, usually I speak it out loud in some form (sometimes creatively, sometimes very plainly). If I have prepared ahead of time, I will have a few sigils that I will invoke with intention, performing the motion with a selenite wand (or just my finger), and then setting them on fire one by one. I watch them burn slowly with the intention in my mind and on my lips, and when the fire goes out and the smoke rises I join with it in visualizing my intention going up and out into the Universe. Then I take some quiet reflective time with the intention still lingering and I finish it by releasing it as completely as I can. Releasing it is very important. After the focused intention you really need to let go of the results and the worry and let the Universe do its work in the higher plane while you continue to work that intention on the physical, mental, and emotional planes. Finally, I wrap up, open my circle, blow out the candles, visualizing again the smoke being those spirit beings who joined me going out into the Universe. I intentionally let that peacefulness go with me into my day. For me it's key to have time set aside where I can focus. And to truly take each step slowly, intentionally, and thoughtfully. Don't worry about "getting it right". You'll see more results having confidence that even if your outward ritual is clumsy, you are more than sufficient and what you offer is good and powerful. The important thing is to get that focus on your intention and then will to send it out. To me ritual is more a vessel for intention and will - a focal point. So it's important that whatever ritual you have works for you. Then go do your part in the earthly realm to see your intention comes about - but do it with peace and the knowledge that the Universe is at work on the other planes to make it happen as well. I always struggled with meditation until my wife and I started practicing yoga nidra. It's a form of meditation where you're lying down. It actually got me to where I can "get meditative" during day-to-day tasks (if I remember to!) You can find lots of yoga nidra videos on YouTube. An important part is that you stay aware and in control of yourself. You do go through a hypnotic state so take appropriate precautions in a group setting. I'm always open to thoughts, healthy discussion, constructive criticism. Don't be shy. If you have a thought, fire away! "Keep your mind ever on the Star, but let your eyes watch over your footsteps, lest you fall into the mire by reason of your upward gaze." It is in the middle of the chapter on The Divine Paradox which I believe is a critical idea for any metaphysical student to understand: That even though the ultimate nature of the universe is far beyond what we see with our physical eyes and even though we should pursue understanding the mysteries of the universe, in the midst of that pursuit, we must face and live with the realities of the physical world we live in, and that failure to do so will be disastrous. So we pursue these mysteries, and that's part of what this life is about, but we balance them with being responsible in our everyday mundane lives. And the combination of that is a formula for success. In this broadcast, I explore the idea of grace and which Tarot cards may be good representations. A pattern I often see in multi-card Tarot readings is that one or more of the cards come up as obvious facts about the situation surrounding the question being asked. These cards often don't add any additional insight and may even be clear representations of what the querent has already openly expressed. These apparent cards may feel like a waste of space on the spread, taking up useful positions that could otherwise give insight. I call these "markers" and actually find them to be the most valuable cards in the reading. Why? Well, just think about what is happening for a minute. 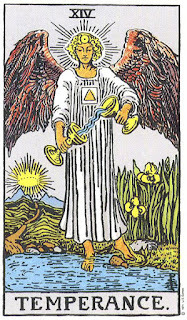 Say you do a 10 card spread and 3 cards show up as "marker" cards -- the meaning of the card in its current position reflects something obvious about the situation. 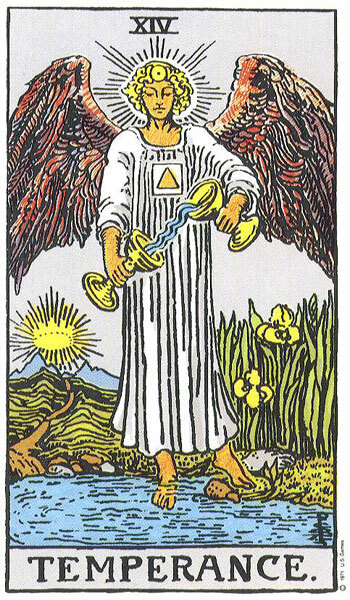 We all know that the subconscious mind pulls meanings from the cards and can derive a meaning that applies to the card, so there's definitely the subconscious at play with the abundant symbolism of the card. But once you've experienced enough readings you see too many cards that hit the nail on the head purely from their straight-forward meanings. The odds of getting one card in a position that is obviously meaningful are pretty small: 78 cards x 2 positions (upright, reversed) = 156. Factor in that maybe 4 cards could be glaringly meaningful for a given question for a given position in the spread, and you get roughly 1:39 odds. Small but not anything to make you quiver if it happens. Once. If it happens three times in a single reading, that starts to make you think. If it happens consistently across readings, then you start to see a pattern not a coincidence. And if these pieces of cardboard with ink on them carry specific meaning to specific thoughts, the implications are pretty huge. For specific cards to end up in specific positions after shuffling thoroughly, then from my perspective and my current understanding of the laws of nature, something has transcended space and time to get those cards into a meaningful position. They're just cardboard and ink, shuffled randomly, with similar laws that govern mixing up your cake ingredients and seeing them distributed evenly across the batter. So now these "markers" have taken on new meaning. They aren't just a waste of space: they are indicators that something real is happening in this Tarot reading. They are a "heads up" to doubters (which often times even includes the reader...) that something substantial is going on. If you are giving a reading, draw attention to these markers to help the querent see that the cards are locking on to the situation. If you are receiving a reading, let these markers get your attention so that you can have confidence in the other cards and glean insights from what they offer, even if they don't make sense at the moment. This universe is definitely a large and very mysterious place. Even not having all the answers, we can still observe with our hearts and with our physical senses, and with our rational minds enjoy the beauty and reap the benefit of the guidance of whatever unseen entity is there transcending space and time to give us insight that we can use to navigate more confidently down this stream of life.